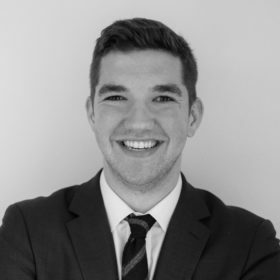 Declan Garvey is a senior associate at Hamilton Place Strategies, where he employs data analytics and strategic communications to assist clients in the technology, finance, and education sectors with their public affairs campaigns. Prior to joining HPS as an intern, Declan worked for Echelon Insights, where he conducted public opinion research for political and consumer-facing groups. Declan also interned at Promus Holdings, an investment management firm based in Chicago, concentrating primarily within their venture capital vertical to develop investment proposals and perform due diligence. During the 2016 election cycle, he worked on the Jeb Bush Presidential and Kelly Ayotte Senatorial campaigns. Originally from Chicago, Illinois, Declan graduated from Harvard University with a B.A. in history.